We are a leading Importer of dough divider, semi automatic dough divider & rounder, electric proofer, luxury dough proofer, bread slicer and electric bread slicer from New Delhi, India. 1. The main purpose is to cut the dough into pieces. 2. Fast cutting, high efficiency, it can divide the dough into equal 36pcs each cut. 3. The divider range: 30g-180g. 4. Simple operation, automatic working mode. 6. Use food-grade 304 stainless steel. 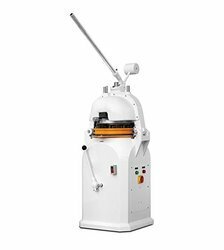 Manual dividing and automatic rounding, dough weight 30-100g. The operation time is only 10-13 seconds, efficient and convenient. The user-friendly design, the dividing, and rounding be completed at one time. Dividing completely, non-stick, well-rounded effect. Taiwan's imported components, very low failure rate. Can be customized 10, 20, 26, 30 pcs standard according to customers' needs. Electric bread proofer with humidity control and fan. Full SS body with best insulation. Luxury design with digital panel. 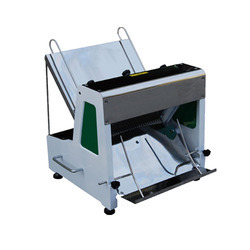 We are leading manufacturer and supplier of Bread Slicer and our product is made up of good quality. Techmate Industries is a leading importer and exporter for best quality of bakery equipment. 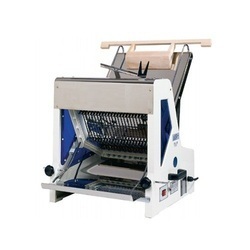 We are one of the prominent names of the market engaged in offering an excellent Bread Slicer, manual loaf bread slicing machine to the customers.